The classic bike-messenger bag has been adopted the world over as requisite equipment for two-wheel transit with goods in tow. But for me a messenger bag’s single-strap setup — weight on one shoulder, the bag balanced on the arch of my back — has never felt comfortable or secure. Instead, a backpack — two straps, a hip belt, and a balanced load — is my hauler of choice for bike trips around the corner or across town. Here’s a quick look at four bike-oriented backpacks to sling on the next time you go for a ride. Chrome Ivan — Mix a whitewater dry bag with a military-surplus pack and you get the Ivan, a biking bag that’s waterproof, bomber, and made to last for years. 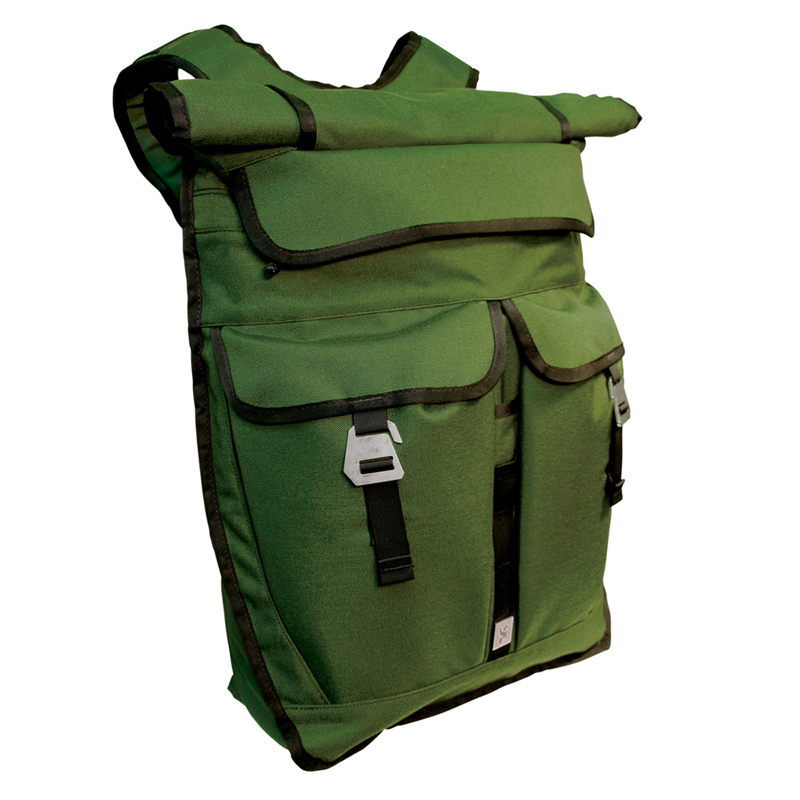 Released in 2006, the Ivan has a roll-top closure to seal off the main compartment. Another waterproof pocket that’s easier to access is on the front, and it seals with a urethane-coated zipper. Big cargo pockets on the outside store tubes, tools, and a hand pump. 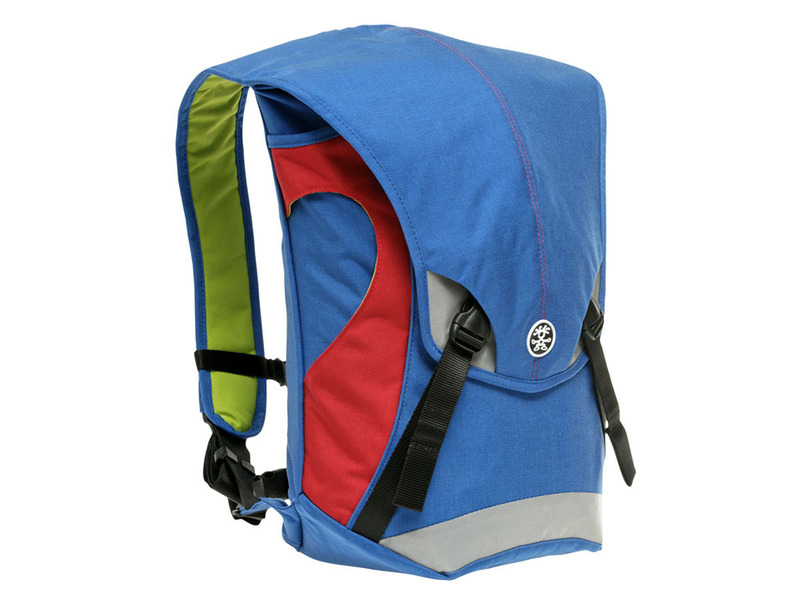 It has solid stainless steel hardware for clipping and cinching the pack on. 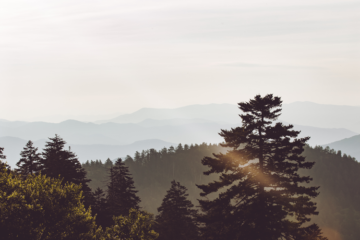 The harness and belt are comfortable and strong, and at nearly 1,700 cubic inches in capacity there’s enough room inside for milk, bread, fruit, granola, and a six pack — plus your laptop, a layer, a rain coat. . . etc. But the big size makes the Chrome (www.chromebags.com) pack unwieldy for short trips. It’s warm in the summer on your back. It’s pricey, too, at $200. Finally, the bag’s propped edges create corners that stand tall to cause sightline issues when you’re hunched on your handlebars. Glance over your shoulder and you might catch the corner of a backpack for an instant, thinking it’s a car. 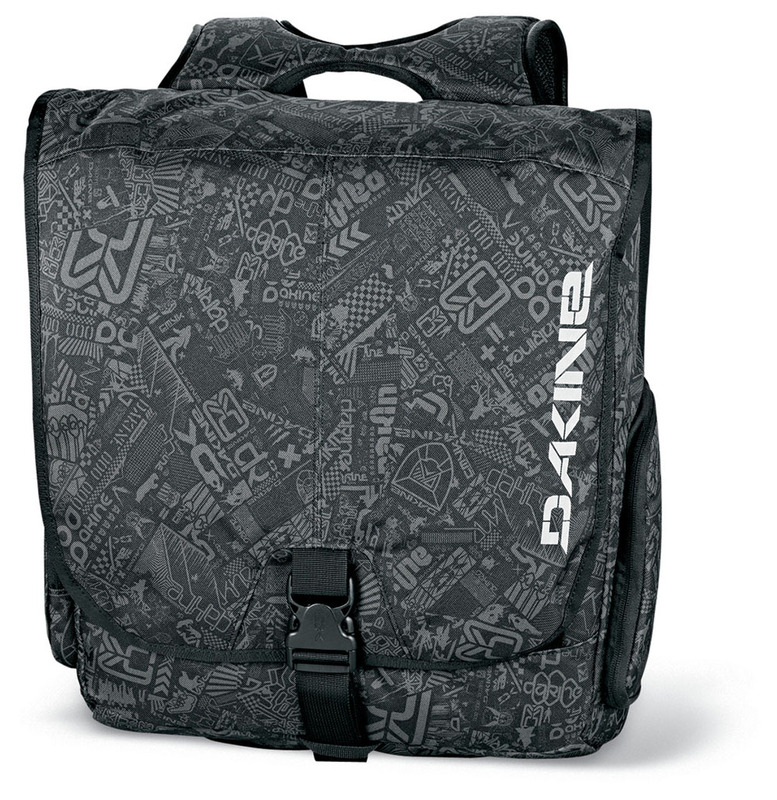 Dakine Dispatch — New this spring, the mid-size Dispatch was my favorite pack in the bunch for quick rides around the city. With more than 1,100 cubic inches of capacity, it is the right size for all errands short of a grocery run. I liked the pack’s perforated EVA foam back panel and its svelte design — the pack is rigid and sits unmoving on your back, even without a hip belt. At $90, it is a relative bargain. The company (www.dakine.com) added a nice touch with a zip-shut lock pocket on the bottom: Just unzip and your lock falls out into your hand, eliminating the need to dig around in the bag. One trouble spot: Like the Chrome Ivan, reviewed above, tall corners on the top of the bag can block vision during a quick glance back. Banjo Brothers Commuter Backpack — Like its name alludes, the Commuter Backpack is a no-frills utilitarian pack made for getting around town with stuff in tow. 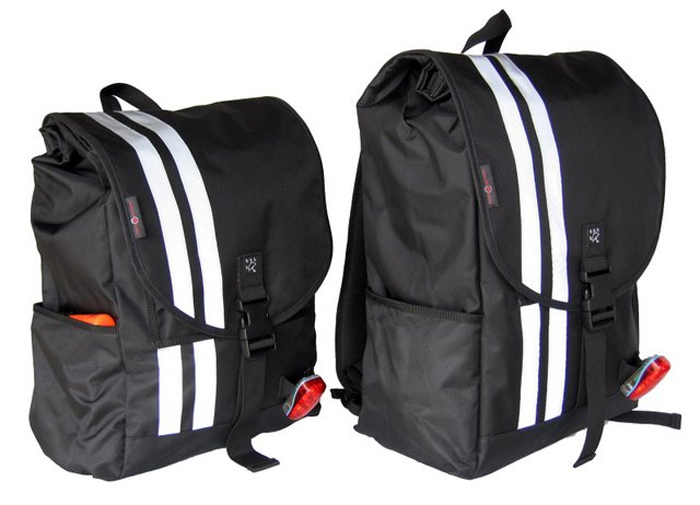 At $80, the Commuter is a good value when compared to the Chrome Ivan, a similar pack. But everything on the Banjo Brothers (www.banjobrothers.com) pack, from the fabric to the zippers, is of lesser quality. Like the Ivan, the Commuter has a roll-top closure to make it waterproof. But Banjo Brothers employs a welded waterproof liner bag inside a nylon outer shell that sticks with Velcro to stay in place. The liner — essentially a reinforced plastic bag — does the job, and the company sells replacement liners for $10 in case yours rips. At more than 1,500 cubic inches in capacity, the size medium Commuter — like the Chrome Ivan — is appropriate for errands around town, including grocery runs. Large reflective stripes on back and a tab for a red blinking safety light are nice touches. In testing, the pack fit fine and held cargo well. But plastic clips on the hip belt, which are added to make the belt removable, can rub wrong through a thin shirt or jersey with a lot of weight. For visibility, the Commuter sits lower on the back than the Ivan, reducing blind spots while you ride along. Crumpler Seedybar — The fun design and quality construction of Crumpler bags (www.crumplerbags.com) is easy to like. The $115 Seedybar is no exception. This bag is neat, with quick-access from a smart design and more usable space than expected in a smallish bag (1,200 cubic inches). The main flap is weather resistant — meaning it’ll be fine in all but the biggest downpours — and six pockets provide organizational ease. I found the Seedybar’s harness and belt to be less cushy and comfortable on long rides with weight when compared to the Chrome and Dakine packs. But to its favor, sightlines are uninhibited with the Crumpler thanks to a low profile on the back and rounded top corners, which don’t block vision when you’re looking back in a tuck. 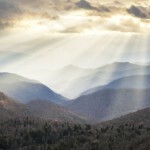 –Stephen Regenold writes a daily blog on outdoors gear at www.gearjunkie.com.